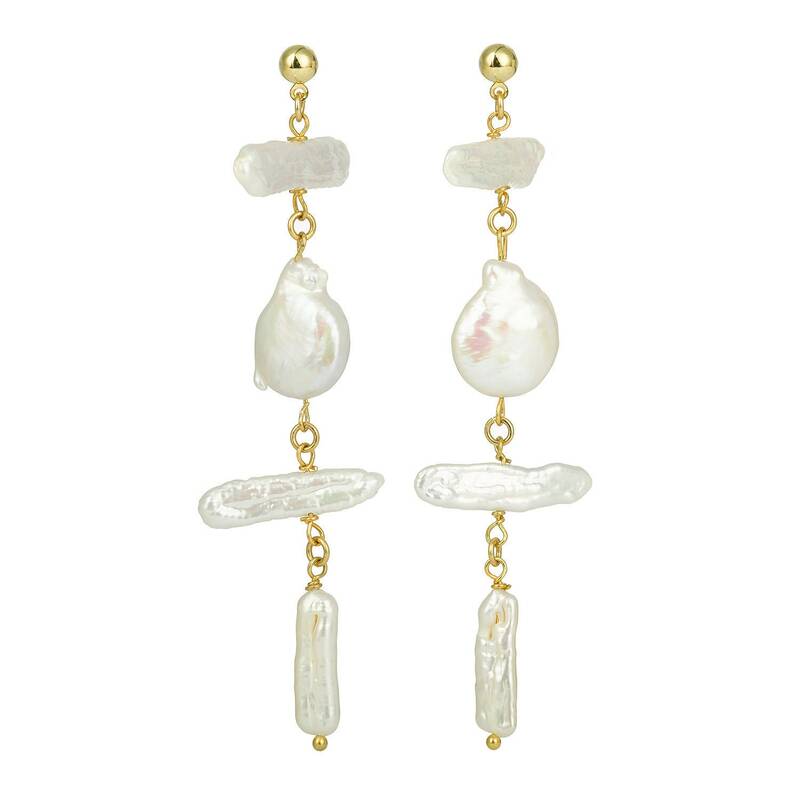 Pearls earrings are made of brass and natural cultured pearls. 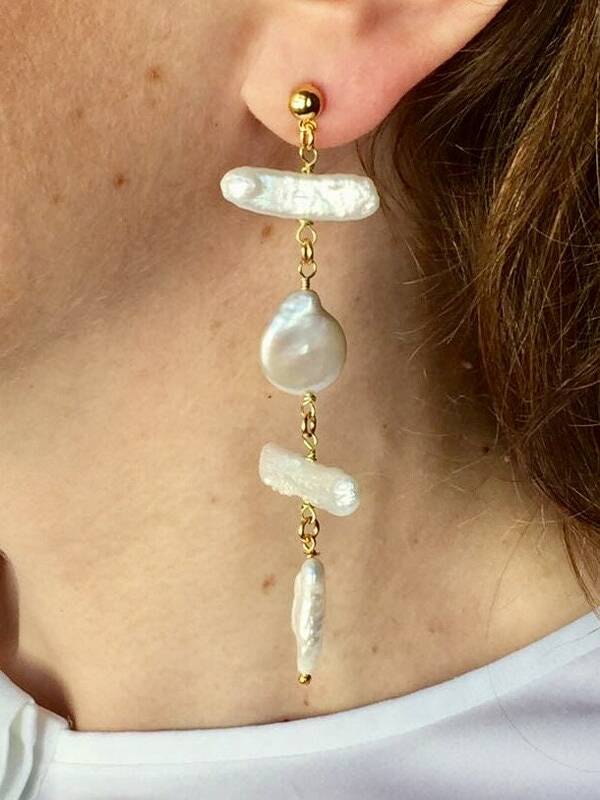 Each pearl is unique. No two pieces are the same.